It’s long been a community tradition for the first full weekend of August. 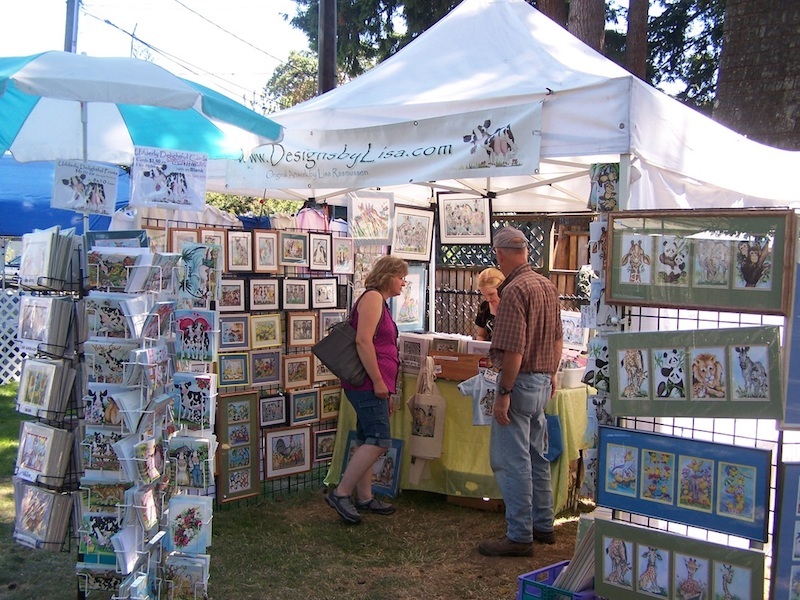 And this year’s Eatonville Lions Club Arts Festival promises to again provide three days of fun for the whole family. Items from than 100 artisans from across the country will be available for purchase, alongside live entertainment, an array of food options, and a beer garden. In her role, Baublits has been tasked with finding vendors, talking to artists, scheduling the entertainment, and the other logistics of planning the yearly festival (now in its 47th year), set for August 3, 4, and 5 at Glacier Park (213 Fir St.). She also praised Joella Oldfield for her more than two decades of work organizing the festival, along with her fellow current event coordinator, Lisa Rasmussen (who also is a participating artist). While classic offerings like Italian sodas, popsicles, sno-cones, and donuts are again among the food offerings, food trucks and vendors on hand will also be serving up teriyaki chicken, burgers, wings, and other fare. But the best part, Baublits said, is how it brings the area together. All proceeds from the festival help the Lions Club continue its humanitarian efforts, like giving eye glasses and hearing aids to those in need, funding school scholarships, donating to the American Diabetes Association, the Lions Club International Foundation, and more. Baublits also noted the organization’s support in helping more than 20 Boy Scouts reach the rank of Eagle Scout. “Our mission: We serve!” she said. When asked who should attend this weekend’s festival, Baublits listed off the wide variety of elements — from glass blowing artisans to the various food vendors — in making the case that it’s not just for any one group. The festival starts at noon on Friday, with artisan booths open until 8 p.m. On Saturday, things kick-off at 10 a.m. (beer garden open at noon), with festivities set to run from 10 a.m. to 5 p.m. on Sunday (beer garden open at 11 a.m.). For more information about the festival, or to learn more about having a booth as an artisan or volunteering, visit www.eatonvilleartsfestival.com.